The Board has conducted digital evaluation of answer sheets of compartmental examination last year. 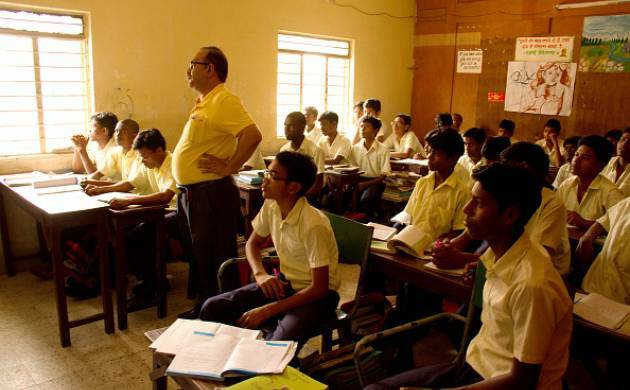 The Bihar School Examination Board (BSEB) on Sunday decided to begin digital evaluation of answer sheets of the ongoing Intermediate Examination to check anomalies during evaluation process. “The Board would conduct digital evaluation of answer sheets of Intermediate Examination 2017,” BSEB Chairman Anand Kishore said. Initially, it would be done for Patna and Vaishali as the two districts have higher number of examinees compared to other districts, Kishore said in a release. The BSEB would consider digital evaluation of answer sheets for Intermediate Examination, also known as ‘state plus two’ examination, on a larger scale in future. Under digital evaluation system, answers sheets would be scanned after barcoding them. The scanned copies would then be sent to an examiner for evaluation in a computer at the evaluation centre concerned through a centralised server, the release said. The system would check anomalies during evaluation process especially writing answers in the copies after examinations were held. Besides, there would be no chance of error in totalling of marks, the release said. Holding cheating-free state plus two examination is a challenge for the BSEB as the toppers scam last year had brought bad name for Bihar. In 2016, Ruby Roy who topped in Arts in plus two exam, in a media interview pronounced her subject as “Prodikal science” instead of political science which she had said was related to cooking. A scrutiny had highlighted bungling in preparing merit list in science stream too in exchange for money. The Intermediate Examination began on February 14 and end on February 25.